Jacob Maentz is a freelance travel, culture and documentary photographer based in Cebu, Philippines. His passion lies in creating images that communicate a strong sense of place and cultural awareness in unique, challenging situations. His photographs often reflect his background in conservation and explore issues related to the human condition and natural world. Jacob’s dedication to visual storytelling is enhanced by his love for travel and cultural exchange. Travel is something Jacob grew up with as a young boy and his time in Latin America during college is where he discovered his passion for the camera. 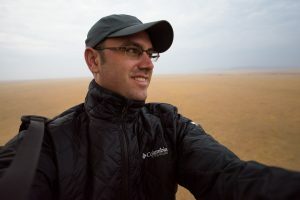 In 2003, he was brought to the Philippines when he joined the United States Peace Corps and returned a few years later to start a professional career in photography. Jacob works primarily as a freelance photographer. He has been commissioned by corporations, private organizations, NGO’s, universities and independent writers for organizations as varied as Save the Children, MyShelter Foundation and Leo Burnett. Most of his travel and documentary work is represented by Corbis Images and his photos have appeared on everything from TV commercials and billboards to magazine and book covers.